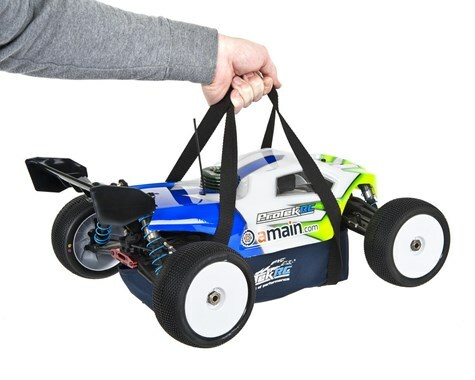 The ProTek R/C Starter Box Carrying Bag is safer and more convenient for carrying a roaring 1/8 scale nitro Truggy to and from the pits, with straps optimized for truggy use. Truggy tires spinning at several thousand RPMs are dangerous, especially when they’re just a couple of inches from your arm while you’re balancing the truck atop the starter box. Not to mention, the fumes that smack you in the face with every rev of the engine. 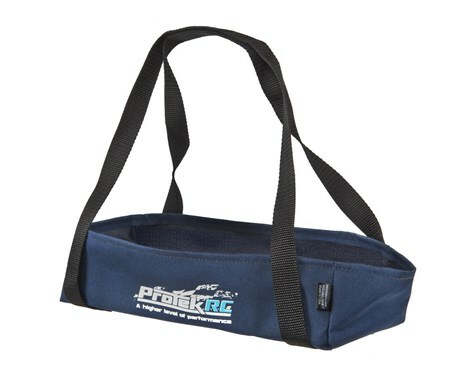 ProTek R/C’s Starter Box Carrying Bag allows you to comfortably carry your nitro truggy at your side when moving in and out of pit row. 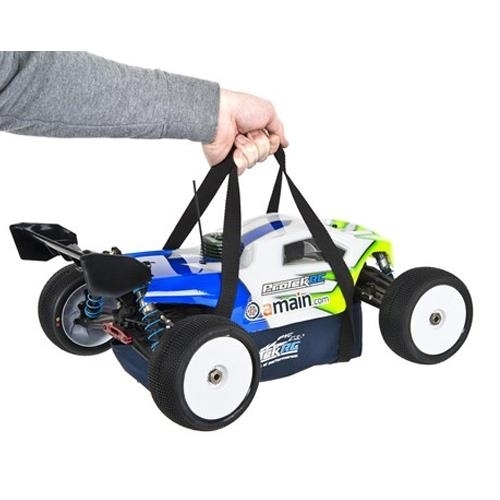 The Carrying Bag also frees up your other hand while putting the weight of the truggy and starter box much lower in a more natural position - your arm will thank you! The all canvas Starter Box Carrying Bag features an interior liner and two handle straps designed not to interfere with truggy tires. The front straps are also attached close to the corner to stay clear of the pipe stinger. Inside the bag, the liner is fuel resistant and easily cleans up when things get messy. 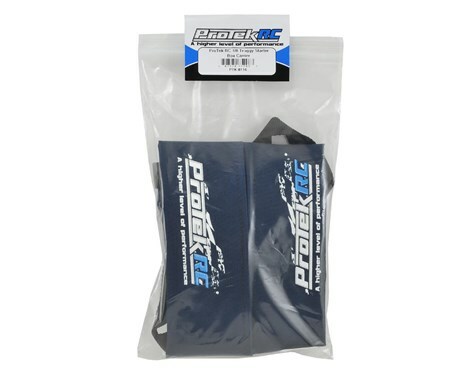 Note: ProTek R/C also offers a 1/8 Buggy Starter Box Carrying Bag (PTK-8115). 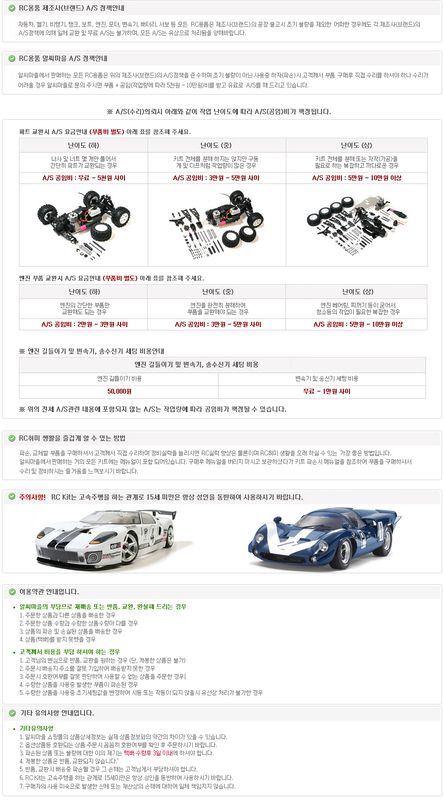 The interior bag dimensions are the same, but the straps have been optimized for buggy use. If you prefer not to use a bag, hook and loop attached straps are also available and are a great alternative setup (PTK-8117).